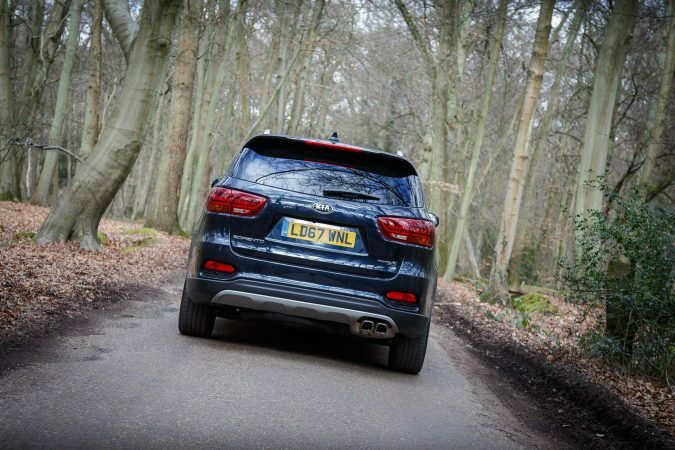 This time around, we have access to Kia’s latest model, the Sorento. 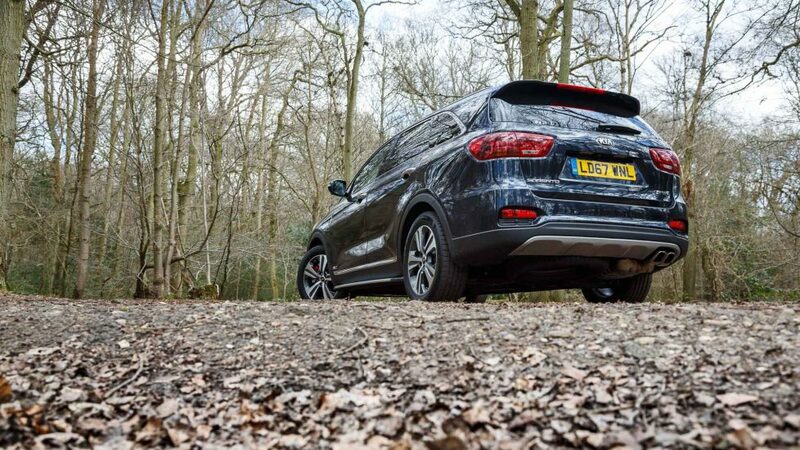 Can this flagship SUV be the standout choice in a competitive market? 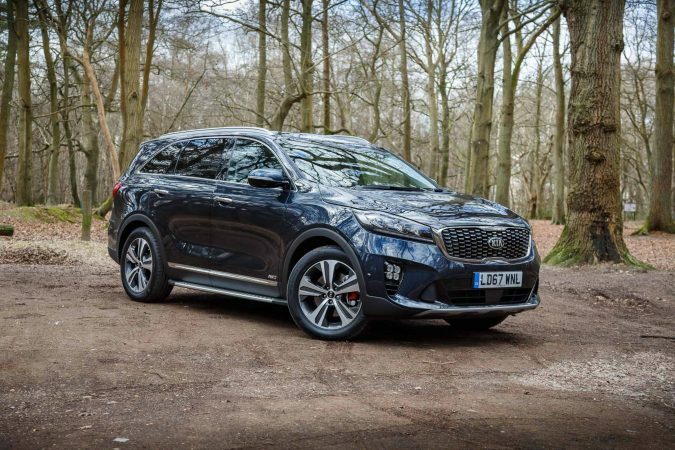 What’s the Kia Sorento GT-Line S all about? Look, everybody will be saying the same thing. 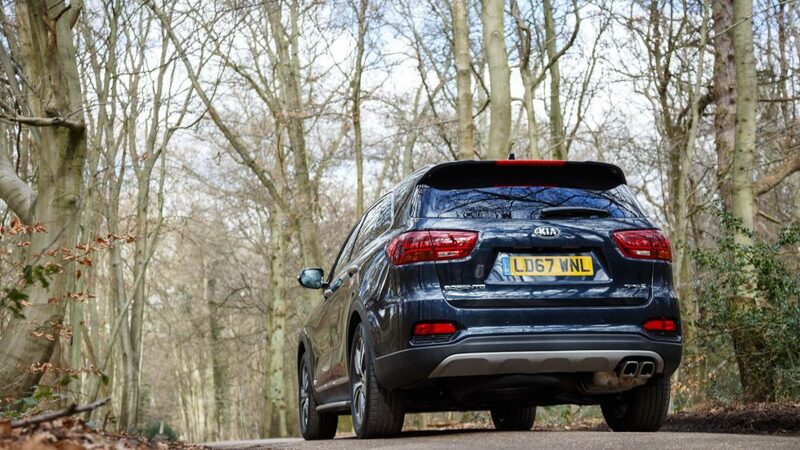 A decade or two ago, a Kia would be an option for those on a tight budget who just want to get from A to B. They were often mocked for their shoddy quality and horrendous choice of materials. But then again, they were inexpensive and were under warranty, so people didn’t care how dreary they were. Fast forward a decade, and things have moved on. Kia was the 10th biggest selling car manufacturer in 2017, ahead of brands like Honda and MINI, and just behind Hyundai and Toyota. With good reason too, as they’ve come on in leaps and bounds since then. 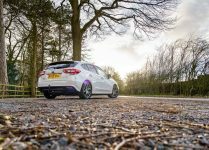 A Kia can now be just as viable an option as a Ford or Volkswagen. 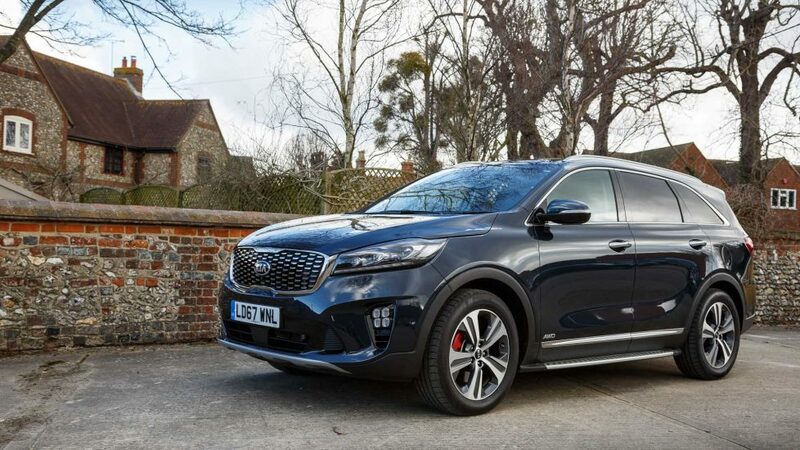 Now Kia have launched the all-new Sorento. They’ve adorned it with a new look and brought it up to the premium segment. In fact, seemingly right at the throat of Land Rover, yikes. 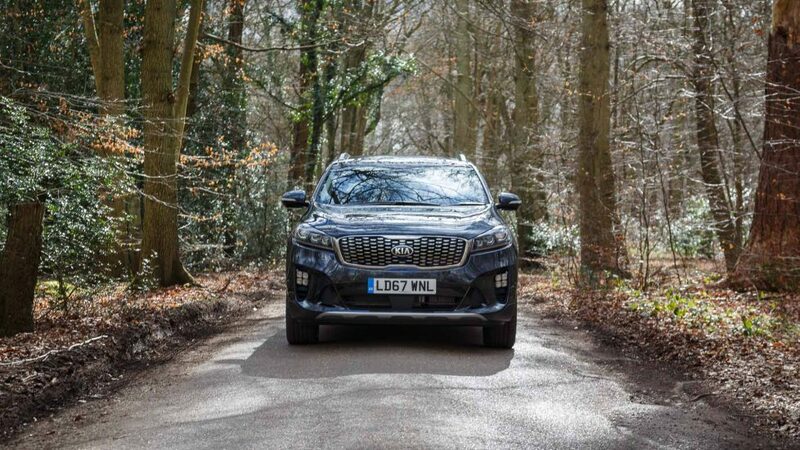 Can the Sorento dethrone the king? 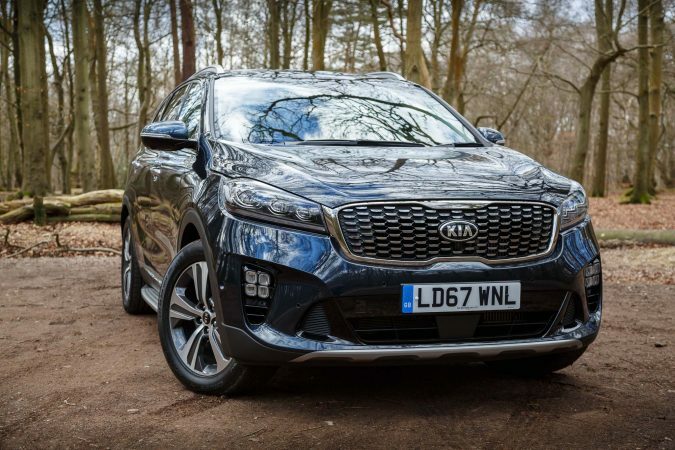 The Kia Sorento nails the whole premium SUV look. It has a suave style, leaning ever so slightly towards the brutish end. 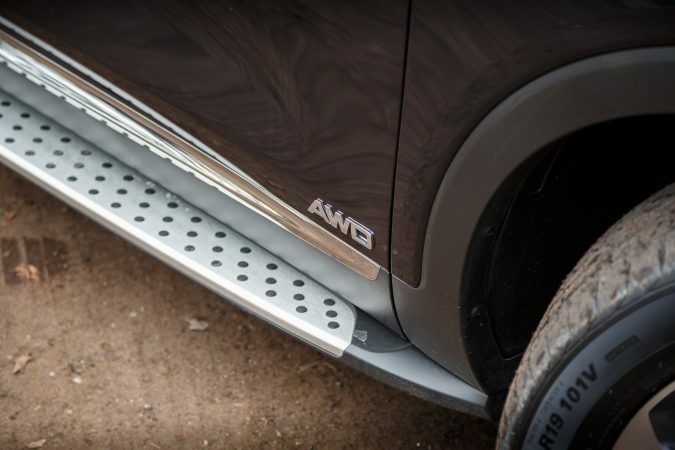 It features the giant Kia signature ‘tiger nose’ lower grille, giving it an intimidating presence. But then it combines the muscular front fascia with a sleek, sweeping roofline that follows through to the rear. The rear isn’t as exciting, but it’s inoffensive. Sealing the entire aesthetics of our range-topping Kia Sorento GT-Line S is ‘Gravity Blue’. 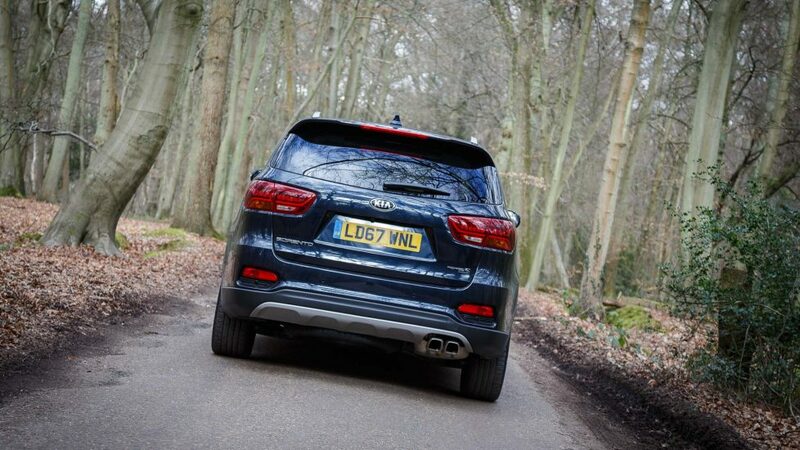 This deep shade of blue gives it an executive finish, in line with other available colours in the Sorento range. This may alter the public’s perception of the model. 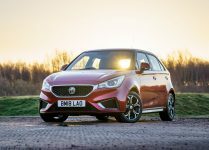 Sitting on 19″ five spokes alloy wheels wrapped around 235/55 tyres with bending headlights, it has a dynamic feel. 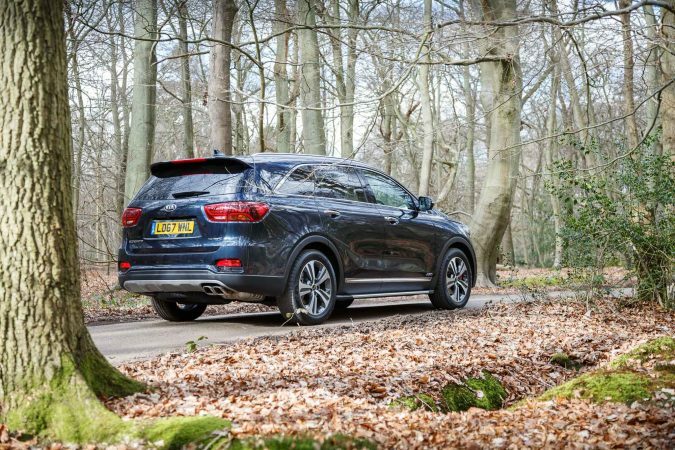 The powertrain options available on the new Kia Sorento are quite limited. 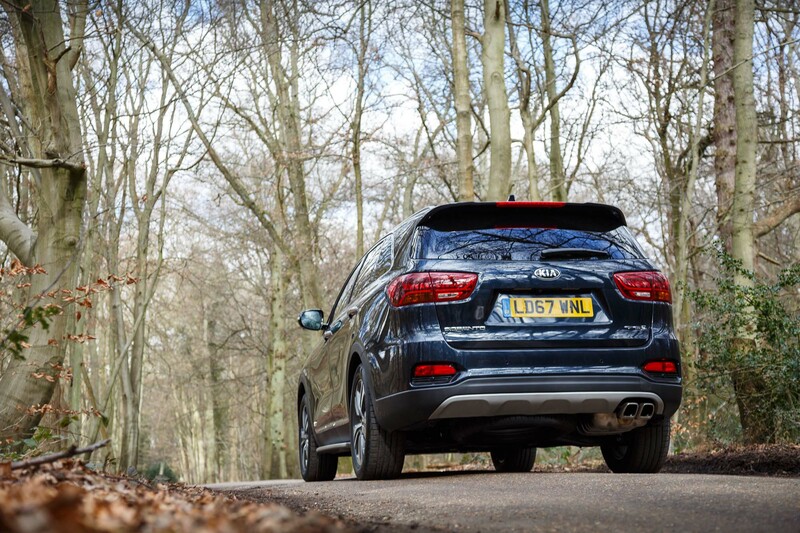 Every UK model regardless of its trim level includes Kia’s 2.2-litre turbodiesel inline-4 engine. It can be found on the previous Sorento and older Hyundai SUVs, this time featuring fourth-generation common rail injection. It produces 197 bhp and 441 Nm of torque. An eight-speed automatic transmission is the only available option for the GT-Line models. It’s up two gears from the previous Sorento, and in keeping with today’s premium vehicles. It powers all four wheels, propelling the SUV from 0-60 mph in 9.1 seconds, with a top speed of 127 mph. It’s not as efficient as its rivals though, mustering 43.5 mpg and emitting 170 g/km of C02. The engine is powerful enough but you have to wait until around 2,000 rpm for the torque to kick in. 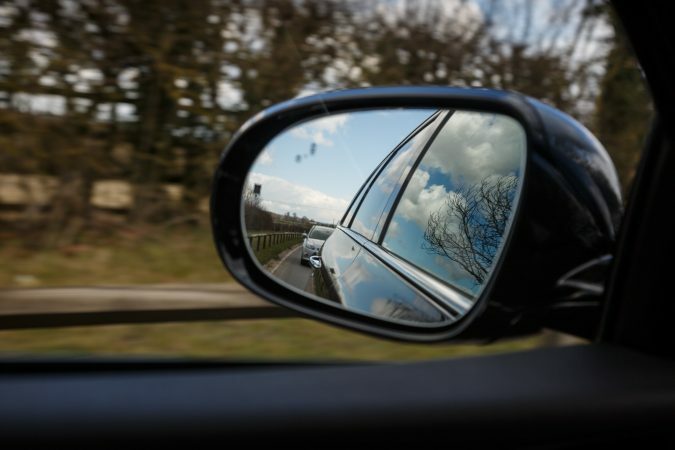 Despite its heavy build, the vehicle does not struggle when tackling inclines or overtaking on the motorway. The engine may not be as refined as you expect. You can definitely hear it while standing beside it. However, when driving, it’ll happily thrum along at a muted pitch. 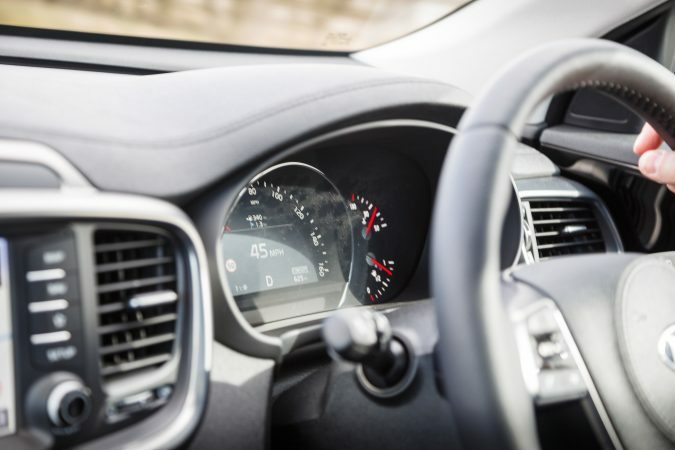 Unless you really strangle the engine, you won’t feel even the slightest buzz through the driver inputs. The 8-speed automatic transmission is understandably tamed. The shifts are never hurried, it’s very soft and gentle. It chooses the right gear most of the time, keeping the revs low and engine quiet. Perhaps a bit too lax for spirited drives. 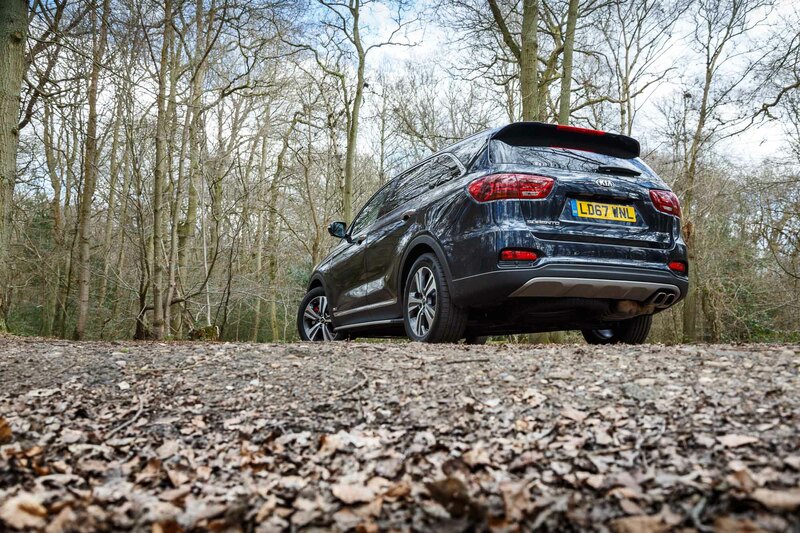 Since it weighs two tonnes, the Kia Sorento isn’t really at the cutting edge of sportiness. It’s not an agile car, it wallows around corners, but never feels threatening. 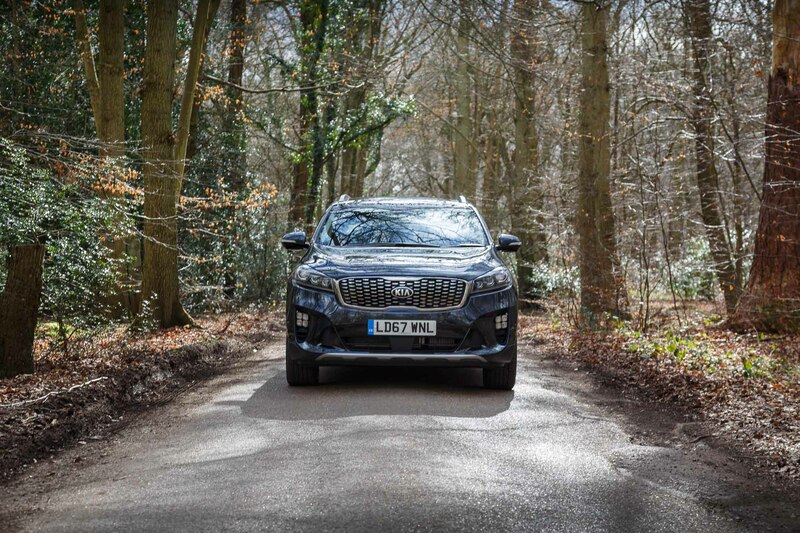 With ingenious four-wheel drive, the Kia Sorento has plenty of traction to manoeuvre around corners confidently. It feels very secure, but not assertive enough to inspire confidence in the driver. After all, the suspension is optimised for comfort rather than B-roads. It offers a supple ride, negotiating speed bumps with ease. 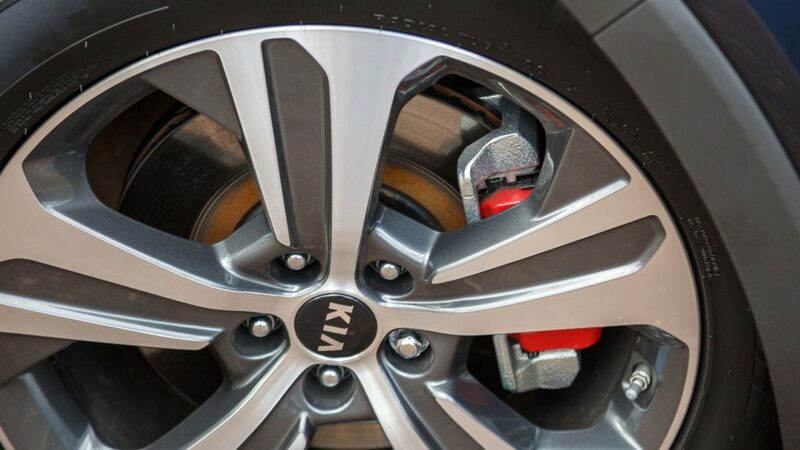 However, if the road is particularly perilous, the large 19″ wheels of the GT-Line S begin to upset the ride. The suspension doesn’t react quite quickly enough to deal with successive undulations. It never gets too aggravating though. The Kia Sorento was muted throughout. Wind noise would only penetrate the cabin at high speeds. Road noise also becomes audible, maybe due to the large wheels again. 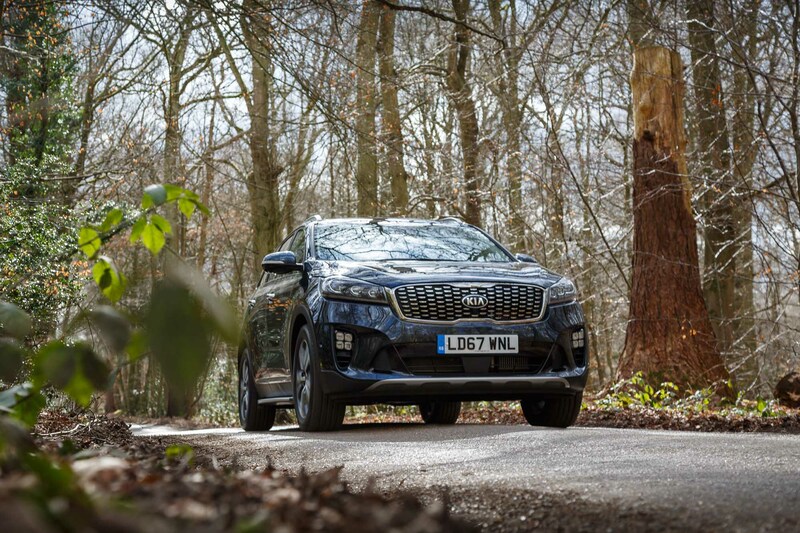 Overall, the Sorento felt pleasant to drive. It’s particularly obedient to driver inputs, which is an important trait that big, ungainly SUVs commonly lack. The steering is inert when in use but it’s responsive and precise. The inside of the Sorento is where Kia have really excelled. This is especially important for the brand as the interior is an integral part of the experience when breaking into the luxury end of the market. It features a welcoming blend of leather upholstery and soft-touch materials. Of course, this being the priciest model, you can expect leather seats, with a 10-way power adjustable driver’s seat and an 8-way adjustable passenger seat. The seats are very comfortable even on long journeys, with plenty of side support when tackling corners. As you’d expect, space is plentiful with ample leg and headroom in the front of the car. The clean design found inside other Kia models is present here as well. 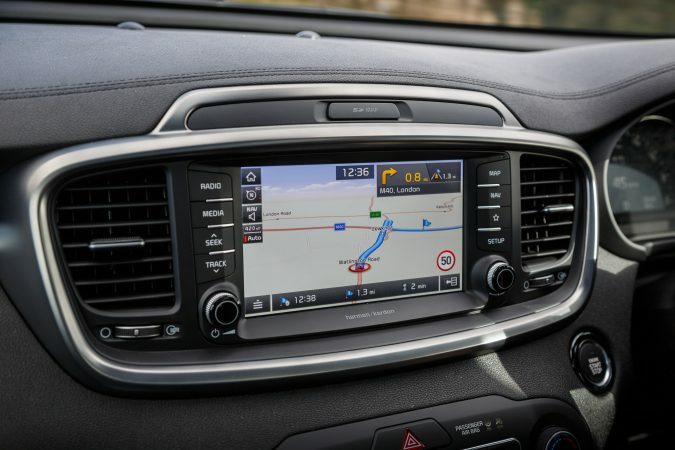 The dashboard is very uncluttered and symmetrical, with only an 8″ touchscreen infotainment system with a provision of buttons and dual-zone climate control to be found here. 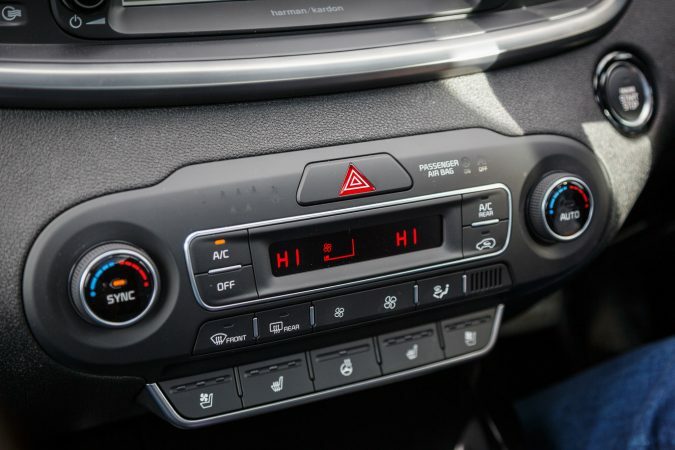 This being the top of the range model, it incorporates a multitude of tech, including: Park assist, heated seats, 360-degree cameras, adaptive cruise control, a 10-speaker Harman Kardon sound system and a panoramic sunroof. The interior is trimmed with a combination of palatable contrast stitching, satin chrome accents and piano black plastic. Build quality is very robust and everything is on a par with Kia’s European rivals. The rearmost seats fold easily with a single tug on the straps found on the seat backs. While you can only access the rearmost seats from one side, it’s a very simple process. With the press of a button, the electric boot opens up to reveal a modest cargo space. But fold the rear seats, and a cavernous 605-litres of luggage space will be made available to you. 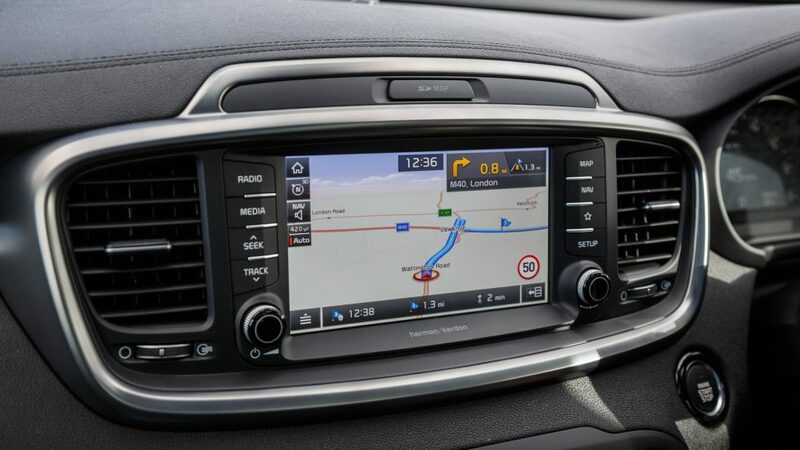 It’s worth noting that if you have the keys and stand at the foot of the Sorento, the electric boot will open automatically after a short delay. 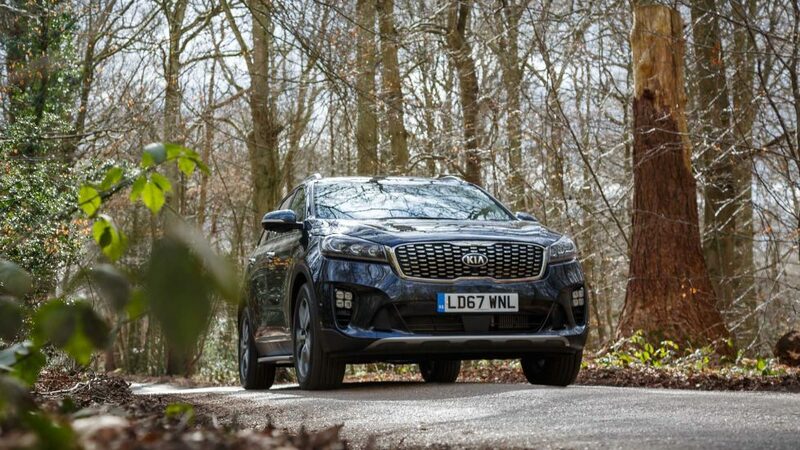 While the Kia Sorento didn’t offer a particularly captivating driving experience, it is a viable option. The vehicle is very restrained, it looks good, it drives well, and it’s very practical. I particularly liked the fact that even though it had traction control, it’s never intrusive even when under adverse conditions. 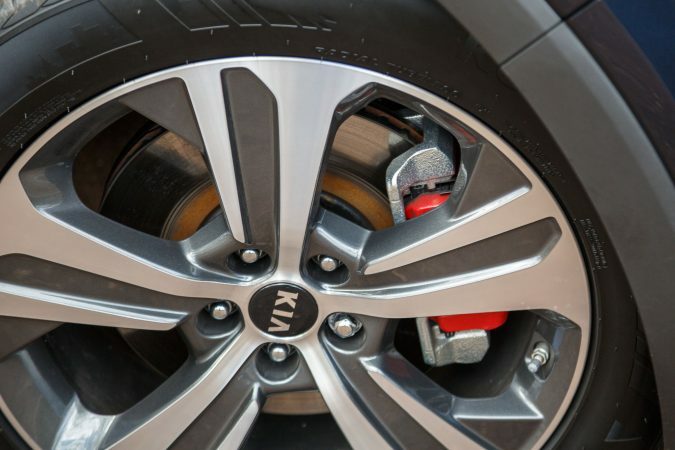 Kia touted this fact too, stating that torque is redirected swiftly to ensure the Sorento is always planted before Electronic Speed Control intervenes. 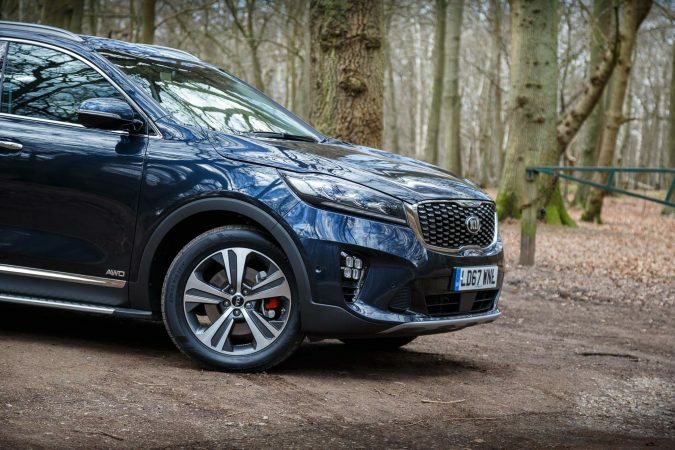 So, is the Kia Sorento GT-Line S worth it? The price is a hard pill to swallow, starting at £40,000. 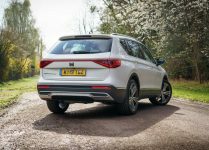 This places it squarely amongst some stiff competition, such as the Audi Q5 S-Line, Land Rover Discovery Sport HSE, Peugeot 5008 GT and Škoda Kodiaq. 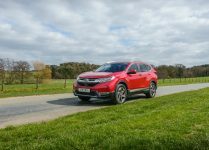 However, for the price, you do get a nice seven-seater SUV with all the bells and whistles you’d expect from a premium car. This is an evolution for Kia. 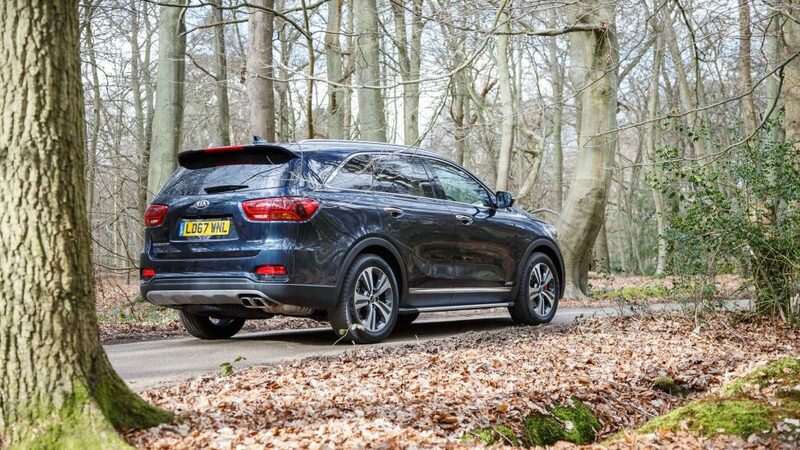 At the other end of the spectrum, a base Sorento KX-1 is still a well-equipped car at £29,000. You get the same engine, seven seats, alloy wheels, All Wheel Drive and cruise control. I’d choose the KX-2 for £3000 more though, as you get leather upholstery, 8″ satnav and dual-zone climate control. 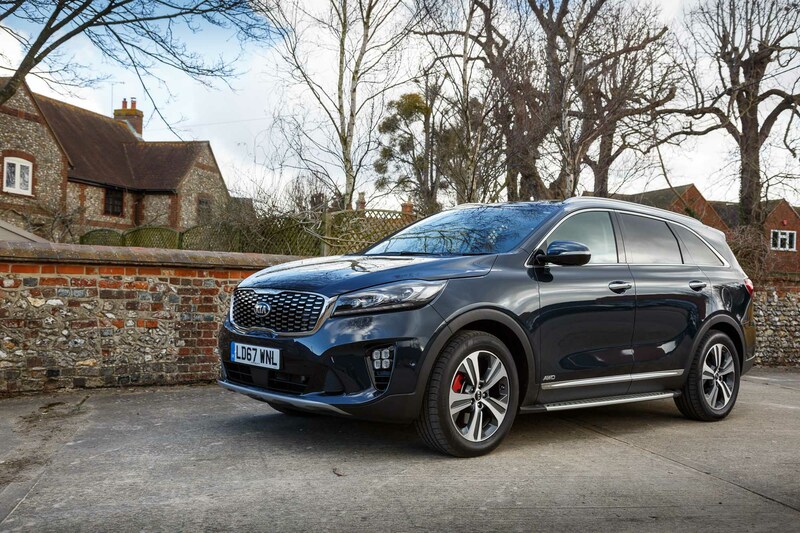 Shell out a bit more for the KX-3 and you’d get largely the same features as the GT-Line S.
To conclude, the Kia Sorento is a very competitive option for the lower trims. 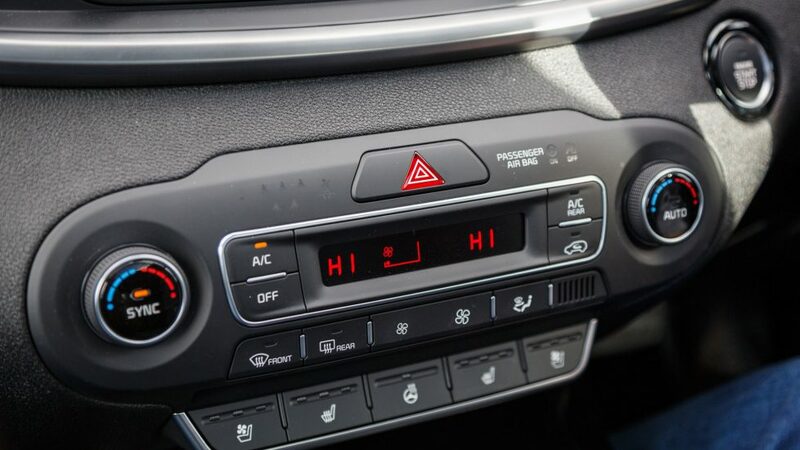 It’s a great no-nonsense car that is extremely practical with a seven year warranty.